Riser Blocks are ideally suited as table extensions or for joining multiple tables together for long projects. Riser blocks are plasma nitride hardened. 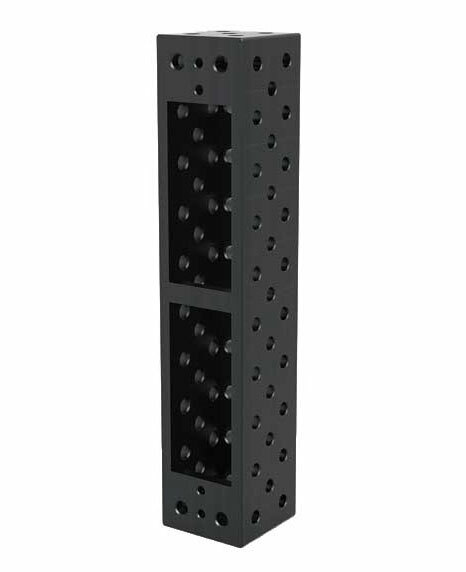 Riser blocks 200 mm and 500 mm in length do not have leg mounting holes. 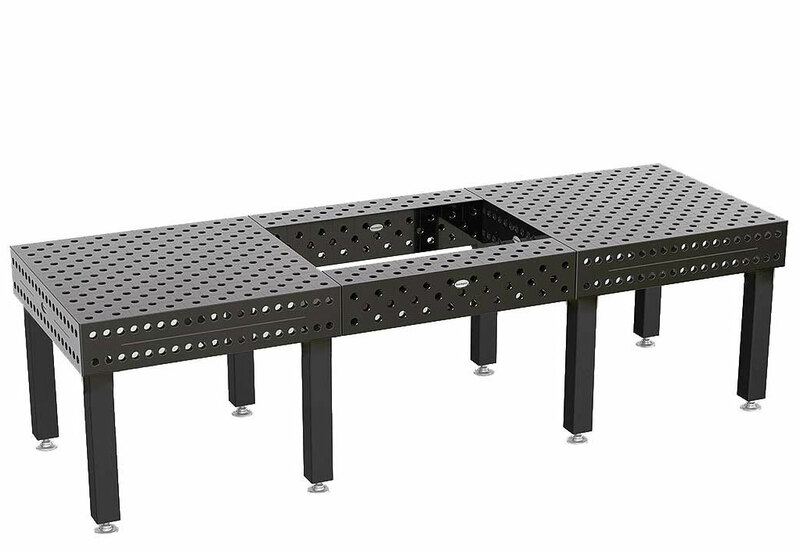 Riser blocks 1,000 mm and longer in length have leg mounting holes, and all blocks over 500 mm in length should be supported by legs when used as a table extension. 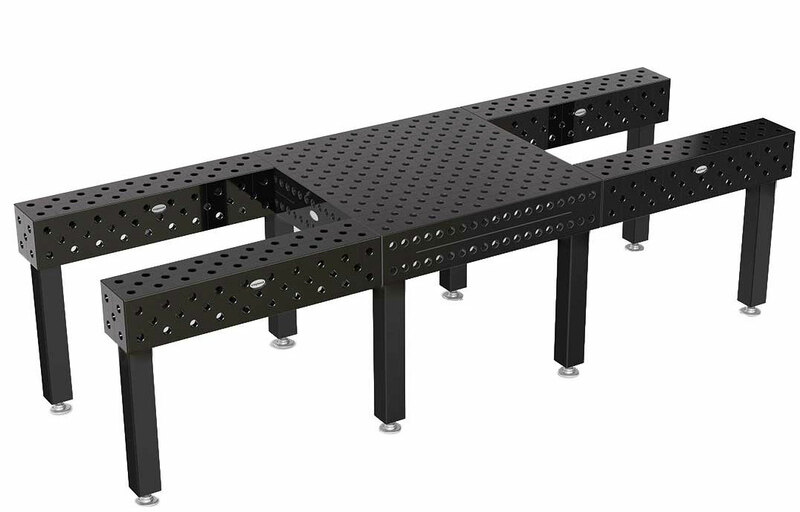 SAFETY NOTE: Riser Blocks should only be joined to the table using connector bolts (Item S2-280560 or S2-280550-1). Do not use fast clamping bolts or other available bolts to join. 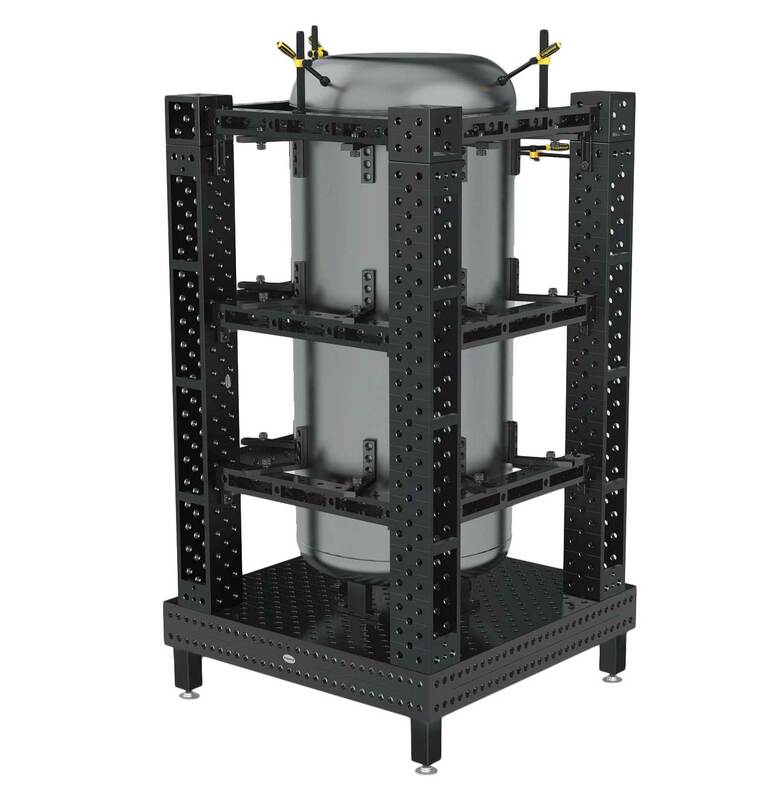 Custom Riser Blocks can be ordered with profiles of 200 x 200 mm, 400 x 200 mm, and 400 x 400 mm (width x height) in lengths up to 4,000 mm.